As one year is coming to an end, a new one is around the corner! At this time of year, do you find yourself doing a lot of reflecting? Did you set yourself goals you wanted to accomplish throughout 2017? Lots can happen in a year, some good and some not so good. It is all about growth, about learning from those experiences - we take the good with the bad! This past year was an exciting one for me and my team. For one, we officially launched Alliance Learning, an online platform similar to an online university. We also have grown and added a few new members to our team. And currently, we working on a NEW certificate program, one that I have had in the works for a while. I am really excited to see it come to life! With all of the ups and downs the year might have brought you it is important to take away the lessons learned in each experience. Take those experiences and apply them to your new goals for the coming year! 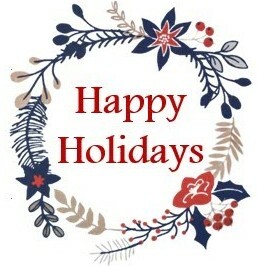 On behalf of myself and the Alliance Learning team we would like to wish you a happy, health holiday season! The e-learning industry has transformed the way to distribute information and provide skills to employees. We have talked about the reasons as to why, it is convenient, consistent and flexible – it offers organizations not only an effective way to train employees, but it also ensures that all employees will receive the same training across the board. E-learning allows the learner to learn at anytime, from anywhere, on any device (oh, hey look at that, it’s our motto!). Augmented Reality and Virtual Reality are the same thing, right? Let’s set this statement straight - Augmented Reality (AR) and Virtual Reality (VR) are NOT the same thing. Yes, they are similar. They both require some sort of device, both have 3D elements that create a simulation to the user, however the implementation is very different. In order for VR to work, the user needs to wear Virtual Reality goggles - this is what creates immersion for the user. AR augments the reality for the learner. AND it's easy to use in a training program because all you need is a great developer and a Smartphone or tablet! To make it even easier, you can use a FREE App like Zappar to program you AR experiences. Let’s look at an example of AR. This is something that our team worked on with Minister Catherine McKenna for this year’s Green Energy Doors Open (GEDO). We had Minister McKenna create a video about GEDO and then we took that video and created a zap code with the video, which was then included on promo materials. Now you might be thinking to yourself, a zap code, what is that? Well, I am glad you asked! This is a super neat and fun tool to play with and is a great start to getting into augmented reality. A zap code is similar to a QR code – remember seeing them all over the place a couple of years back? It is similar in that you download an application to your device. 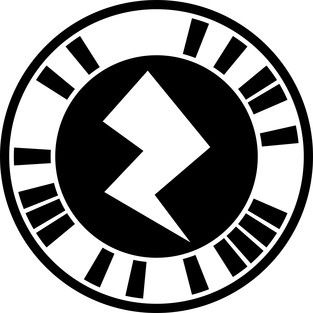 Once downloaded all you need to do is find a zap code and zap it. With the video that Minister McKenna created, when people zapped the code it would appear right there on their phone. Test it out for yourself! Go to the app store on your phone(or Google play) download Zappar, it’s totally FREE, and then ZAP this code to hear a special message from Minister Catherine McKenna – it's that easy and it's that cool! So now I am sure you are wondering how you can incorporate AR into your organization's training? One example could be for new hires. Let’s say you create short videos about your organization, departments, history of the company, etc. and you put these zap codes all around the office. The new hires would then walk around and zap each one of these codes – it would be like a self-taught orientation session that involves augmented reality. Now how cool would that be?! Do you consider m-Learning and e-Learning to be the same? Isn't it just a compressed version of e-Learning? Even though m-Learning is a sub-set of e-Learning there are still differences between the two. This is a great article that outlines some of those key differences. What does “storyboarding” mean and how does it relate to e-Learning? Storyboarding is an important part of the planning process – it is a diagarm, if you will, of how the course will look. Essentailly it is a step by step plan of what each slide is going to look like – design, navigation, content, visuals, etc. Think of it as a blueprint for your e-learning course. Here are some easy to follow tips for you to use when you are creating your storyboard. 1. Introduce key players – who are the people involved, making this vision come to life. Most times, but not always, there are different people for different roles. You might have one person writing the content, then another to design it, etc. Getting everyone on one list will make it easy to know who to go to when there is a question. 2. Identify what applications will be used for this specific course (and make sure your team knows how to use them!). 3. Discuss with your client if there are any requirements that need to be added to the course, for example a specific exercise or quizzing portion. 4. Make sure to ask them if the course needs to be designed in a specific authoring app, this is VERY important. It would be awful to spend all of that time and effort into creating something to then find out you weren’t using the right tool. We like to use Stoyline but there are a bunch of different ones out there. Now that you have everything planned out, the real fun can begin – starting to create your storyboard! This is the time to be creative and experiment with new ideas. But remember, you aren’t creating your course here, its an outline of what it is you want to do. Here are some easy steps for you to follow to start building your storyboard. 1. No need to start entirely from scratch! If there is a template you are used to using, go for it! If not, search what free templates are available and pick one you think would work best. Need ideas? Reach out to your e-learning community and see what suggestions they have. 2. Keep things simple. This can be a bit tricky because you want to make sure you have all of the information there, but at the same time you don’t want it to be overwhelming. The level of detail that you include on your storyboard depends on who you are building this for. If its to show a designer then the more the better, if it is to show your client try to keep things simpler for them. 3. Create a road map for your team. This will help them to understand where the learners will land with every decision point. 4. Use reference labels on your storyboard slides (like page numbers). This will help if you decide to move things around. Your storyboard is a living tool that you will continuously be looking at throughout the course design development. You will circulate your storyboard to the rest of the team to review. This way you can ensure that everyone is on the same page and knows the direction of the course. Once your team and the client has had the chance to review your storyboard, it is important to sit down with them to discuss any changes that need to be made, or even provide clarification. Once your storyboard is complete, you are good to go to start on the design process! Showing 26 - 30 of 60 results.